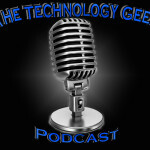 This week on the show we go into past events the Windows 10 event, Apple Macbook event and Office 365 event. We talk about Steve Ballmer and his Apple Envy and how Microsoft dropped the ball on the Windows phone. We talk about Apple and Microsoft earning reports. We get into Skype and the brand recognition vs Google Hangouts. We go into the security of iMessage and Apple bug bounty price vs Google Android pricing. Plus Much More…..